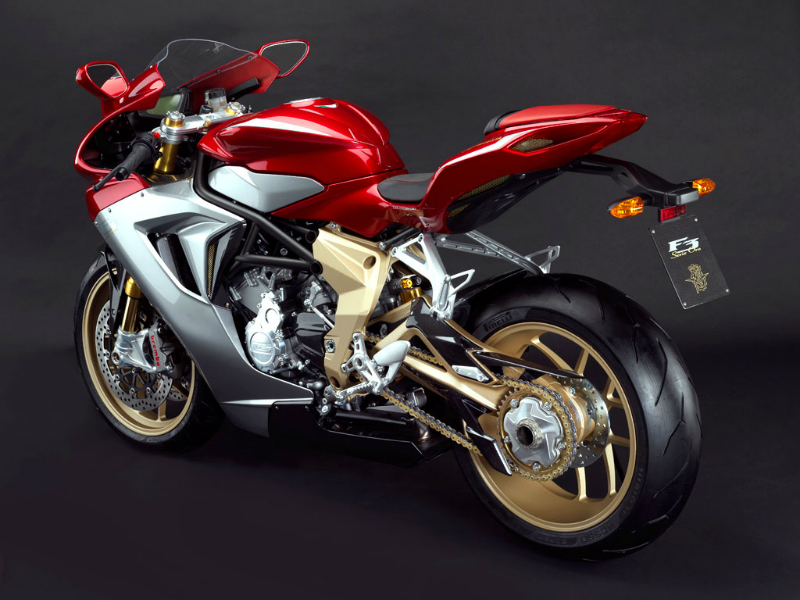 MV Agusta F3 is a gorgeous motorbike with crafted body, advanced technology and quality chassis, which makes every rider fall in love with it. The body of the vehicle is carefully crafted and designed to meet the aerodynamics thereby providing more safety and better control. 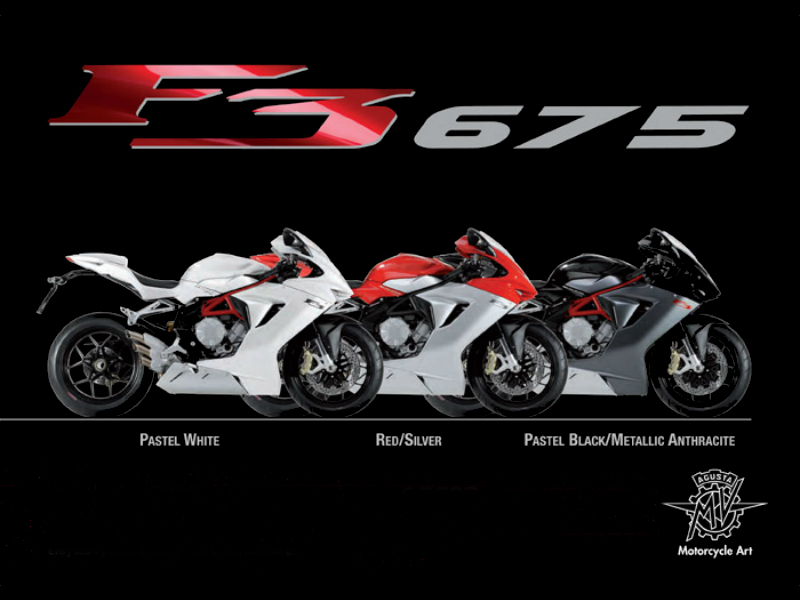 Further the full fairing of the body with impressive color schemes makes F3 look like a superbike. Along with the beauty bodyworks, advanced technology used in the construction makes it perfect for street as well as track. The bike comes with 3 cylinder, 4 stroke, 12 valve, 675cc engine which promises amazing driving experience. This compact engine which is both short and narrow due to its internal structure uses most advanced technology for better performance. The maximum power generated from this is about 126 Bhp at 14400 rpm and the highest torque achieved is 71 Nm at 10600 rpm. This power so produced reaches the wheels of the motorbike through six speed, constant mesh, cassette gearbox. When it comes to design, F3 is simply amazing and no can even dare to take out eyes from it because such is its charisma. The stunning body works with attractive head lamp, stylish fuel tank, comfortable seat and trendy instrument displaying all the necessary information pulls the intention of every passerby. 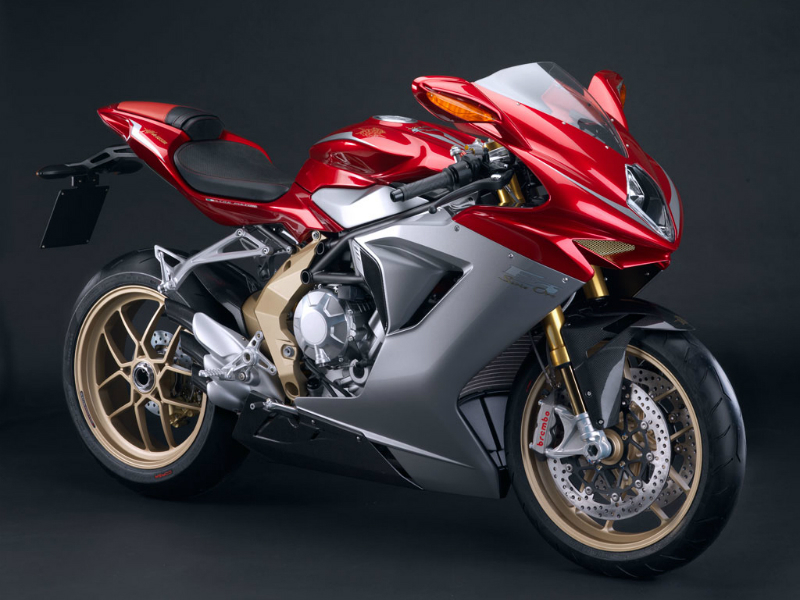 The larger wheels and full fairing, covering the naked body are other promising features which give bold and aggressive appeal to the vehicle. Like any of the other Agusta bikes, F3 is also packed with best chassis which makes the rider go made about it. This new bike is equipped with advanced suspension namely the telescopic hydraulic fork at the front and progressive single shock absorber at the rear for smooth, silky drive. Further the efficient braking of the vehicle including the front 320mm twin discs and rear 220mm single discs guarantee quick halting of vehicle even during deadly speed. No proper information available about the mileage it offers. The new bike is expected to be released in India by mid-2013 at the quoted price of about Rs. 15,00,000 and the colors available with this are patel white, red/silver, pastel black/metallic anthracite.